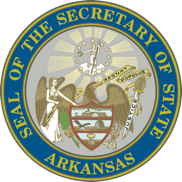 Attends National Secretaries of State Winter Conference in Washington, D.C.
(January 31, 2019, Washington, D.C.) – Arkansas Secretary of State John Thurston traveled to Washington, D.C. Thursday to attend the National Association of Secretaries of State (NASS) Winter Conference. This will be Secretary Thurston's first meeting with his counterparts from across the country. Key themes over the next few days' meetings will involve elections, cybersecurity, international relations, and business services. Attendees will hear from experts, share best practices and innovations, discuss common issues, and vote on policy matters presented by the organization's committees. Secretary Thurston will serve on the Elections Committee, Business Services Committee, Cybersecurity Comittee, and the International Relations Committee. The Secretaries have been invited Saturday evening to a reception at the Embassy of New Zealand. The conference begins Friday and concludes on Monday.